Thinking about the elusive concept of hospitality as delineated in Jacques Derrida’s 1999 paper “Hostipitalité”, we can advance a curious reflection on the relation between space and sovereignty in the films Saboteur (1942) and Lifeboat (1944) by Alfred Hitchcock. 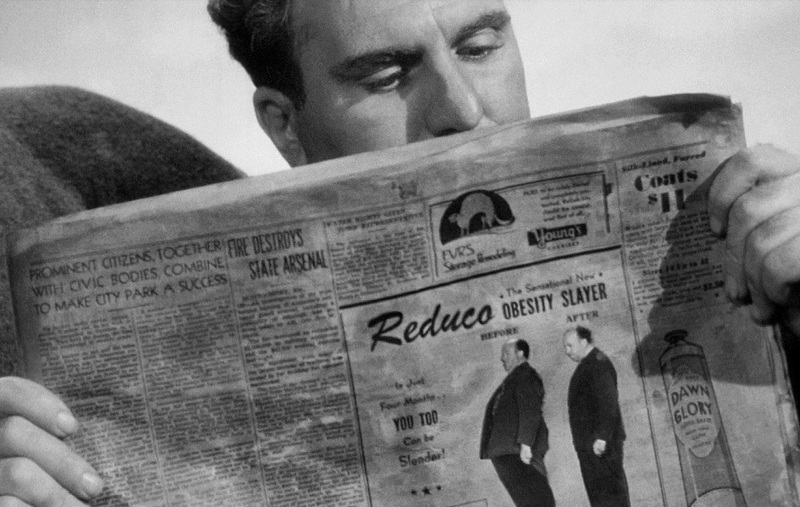 The original title of the paper underlines one of the aspects that Derrida seeks to uncover in this concept, namely, the duality hospitality-hostility, which also proves relevant when talking about both of these films. Another thing we must remember before we begin is that these films were produced at the height of World War Two; this historical context naturally percolates into the plot of the films and partially explains the obsession with hospitality-hostility. One last thing which is also inherent in Derrida’s original title is the idea of the host, inexorably related to hospitality and, as Michel Serres argues, to parasitism. Hospitality, hostility and hosting appear in different registers in these films as will be explored in what follows. Saboteur presents a variety of situations which reminds us of Kant’s definition of hospitality as quoted by Derrida: “hospitality means the right of a stranger not to be treated with hostility when he arrives on someone else’s territory”. Barry Kane is not exactly a stranger but becomes one through his alleged act of sabotage. As a saboteur, Barry is an enemy of the state and a stranger in his own land: an agent who looks to weaken, tumble and disrupt national sovereign power. This is what triggers his runaway and takes him in a procession through different domestic spaces. First, as a friend of Mason he enters his mother’s house almost as if it were his own. Even when she learns of Barry’s possible involvement in the death of his son, she does not disclose to the police the fact that he was in her house. Two things are in play here: as a host she provides him the courtesy of covering him from the police but the implications are also political, as she is also providing Barry with the eminently American assumption that he is “innocent until proven guilty”. Something similar happens in the old blind man’s cabin. The old man notices Barry’s handcuffs as soon as he enters but even so he receives him as a welcome guest giving him the same juridical courtesy Mason’s mother granted him. Barry here, driven by necessity, does not respond in kind and acts as a parasite rushing to eat his apples hoping he wouldn’t notice, something that the old man only vaguely resents and even offers to help him afterwards. The case of Tobin’s ranch and the ball at the mansion are also interesting. In both of these cases the duality hospitality-hostility is immediately perceptible. Barry is politely received in both and allowed some niceties before actually engaging in hostilities. Tobin receives him in his ranch and he is offered a drink and trusted with the care of Tobin’s granddaughter before Tobin calls the police and the housemaid threatens him with a gun. In the mansion the saboteurs can’t do nothing but allow Barry to dance with Pat and even start an auction of one of Mrs. Sutton’s valuable jewellery before being knocked out and held captive. In all of the spaces mentioned above there is a kind of social contract of hospitality which must be followed, certain rights are granted even when the saboteurs need to act with hostility towards Barry and Pat. In a way, these are spaces under the jurisdiction of political sovereign power. But what happens in those spaces of transition, those thresholds? Cars and moving vehicles are the primary space of transition (exception) in Saboteur. In the first car scene we have Pat as host: she disregards her uncle’s advice and acts on her own account ignoring too Barry’s declared innocence. 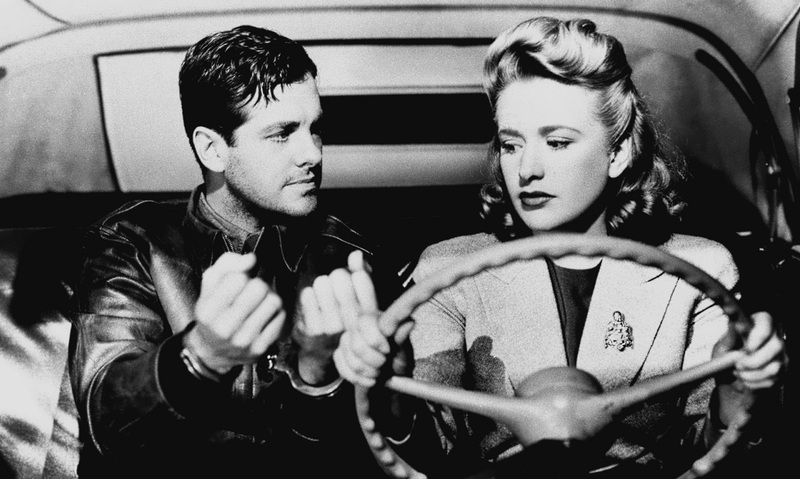 In the second car scene, a sort of social contract is also improvised. 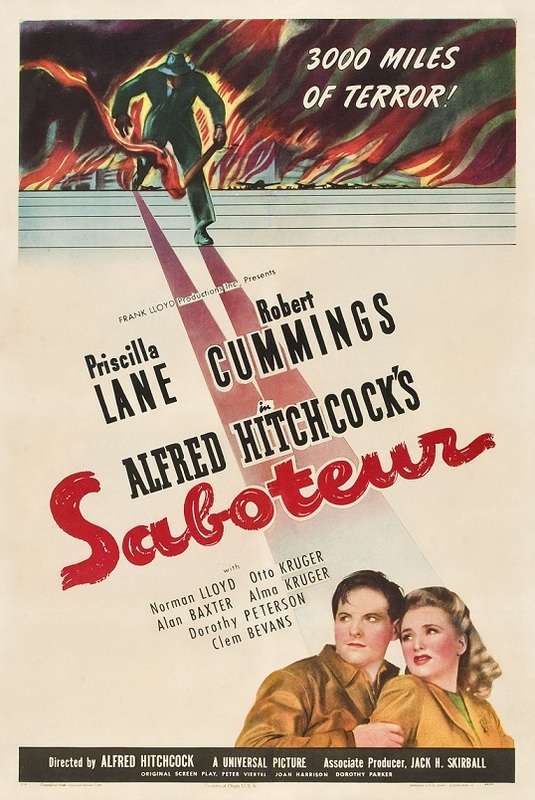 Barry, pretending to be the actual notorious saboteur who killed Mason, gains a kind of status among the lower rank criminals and is allowed to assume a position of authority both in the old house in the ghost town and in the car driving to New York. But perhaps the more significant of these instances is the train scene with the circus freaks. Intruding in the freight car, Barry and Pat are both strangers entering into someone else’s territory. This intrusion forces the passengers to improvise a social contract or form of hospitality. Interestingly the particular shape of hospitality that is adopted is democracy, the only serious opposition being the midget, a character maybe reminiscent of the German midget Hans in Todd Browning’s classic Freaks, who refuses to have a vote. These spaces of exception show how the idea of hospitality might be linked to a return or an adoption of the ideals of democracy, a concept that no doubt was imperative to promote at the time the film was received and that proves to be important also in the plot of Lifeboat. 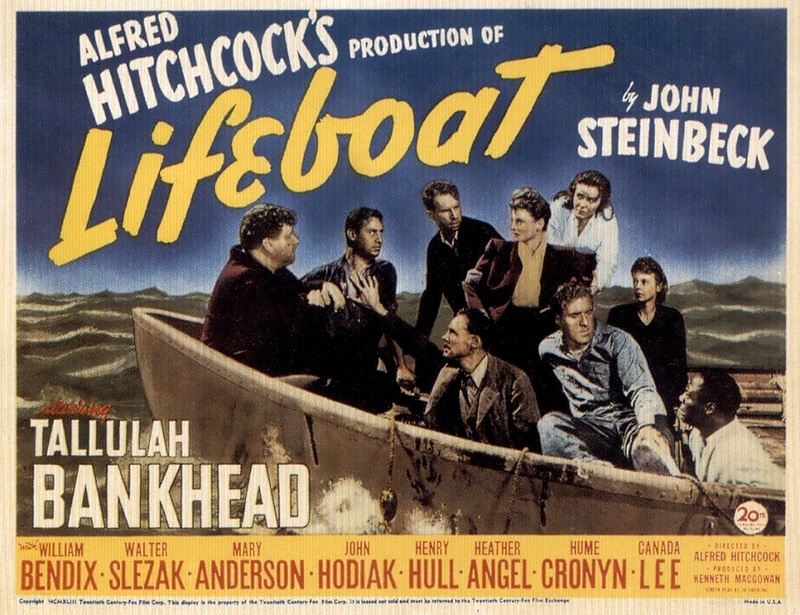 Before proceeding to a short revision of some aspects of Lifeboat, maybe we can draw a parallel, following Michel Serres, between these films and the Iliad and the Odyssey. Serres affirms: “From the beginning of our culture, the Iliad is opposed to the Odyssey as conduct on land, which takes only people into account, is to the ways of the sea, which deals with the world”. A similar point can be argued about the scenario of Lifeboat. While in Saboteur we deal with the conflicts between people on a national scale, the plot of Lifeboat breeds a more allegorical air as it occurs in a space devoid of national boundaries and jurisdictions, with a noticeable lean to the international. The actual crew of the boat is also significant. There is a mix of British and American citizens from varying social and economic backgrounds, but we also have the German-American Gus Smith (Schmidt) and the German Willi, who later is discovered to be the captain of the U-Boat, which sunk the Allied ship. As no one can claim possession of the ship, the dynamics of hosting translate into a kind of dialectics of power. The first to gain control of the ship is the journalist Connie. She is the first to board the boat and the only one who could manage to take her luggage and possessions with her. Her position as the first passenger, her facility to offer and to trade some of her possessions, and her ability to speak German makes her an initial host of the group. However, Kovak is the one who actually takes charge rationing and distributing the food and water they have. He also suggests not to trust Willi and to throw him overboard when they first find him, an instance that is again resolved through a voting. Later on, Willi wrest control out of Kovak during a storm. The scenes with Willi as host could be deemed controversial. He has been hiding water and energy pills, and thus is shown full of strength rowing the boat by himself and even providing entertainment to the passengers by singing. These dynamics of hosting and power culminate with a final decision of hostility-hospitality. After the group discover the treacherous Willi and drown him, they save yet another German who immediately threatens them with a gun. They manage to disarm him and refuse to kill him, recovering from the momentary state of anarchy they were in with the prospect of being saved by an allied ship and a return to civilization.